Vapestreams supply a wide range of fabulous e-liquid short fills in a range of exciting flavours. The Banger short fill collection makes up some of the best dessert flavours on the market! 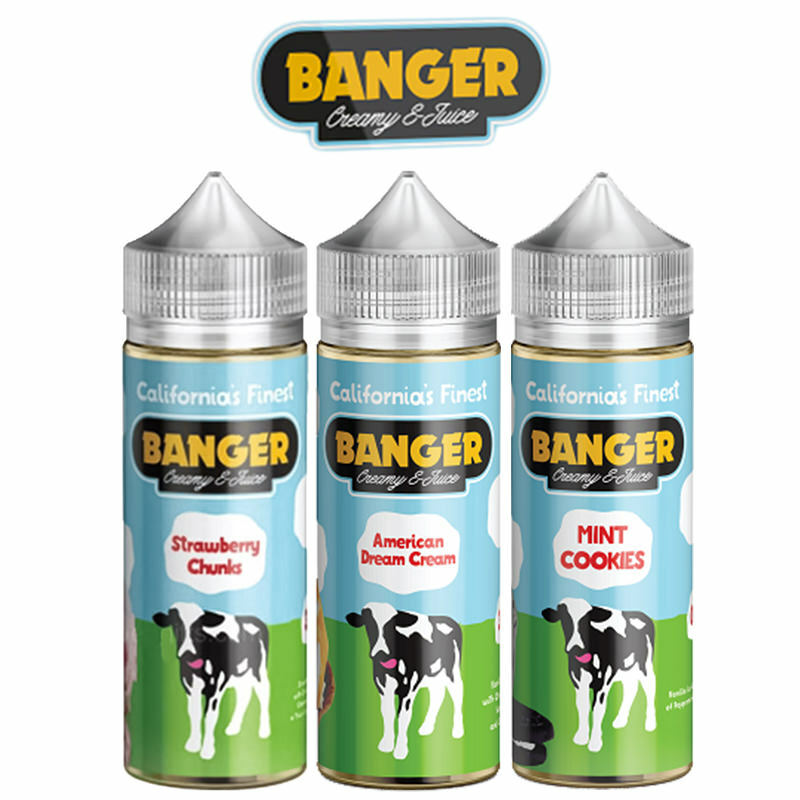 American Dream Cream, Mint Cookies, and Strawberry Chunks are just some of the indulgent flavours that Banger has available. These short fills contain a smooth blend of sweet treats and ice cream to give you one delicious short fill flavour. Try out Banger short fills today and discover which tasty short fill satisfies your sweet tooth.